Certain things, it turns out, are bad for your wallet, your lungs and your future. However, whether you care about your wealth, or the environment (or hopefully both! ), then it makes clear sense to stop spending money on incredibly inefficient energy systems in your life. And so whatever your motivation, taking The Journey to Energy Freedom will increase your wealth considerably (sorry oil companies!) and avert some pretty bogus side effects our children will inherit in the form of Climate Change. These are the savings in CO2, resulting in some of the steps towards energy freedom that I have so far taken. The yellow line is the CO2 saving per euro it cost to put in place the measure. LED Lights are the clear winner so far. 4. Measure the temperature again when it has stabilised – the temperature will have increased because the larger CO2 and Methane molecules trap more of the radiation coming from the tennis ball than the current earth atmosphere. The same effect applies to the earth. 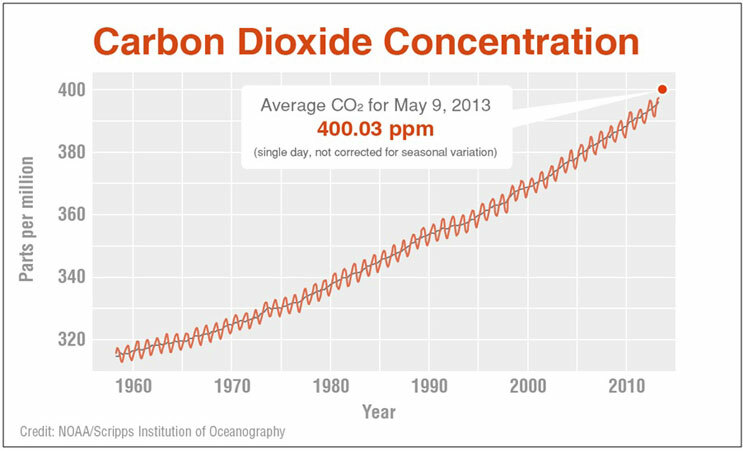 The Concentration of CO2 in Earth’s Atmosphere Since 1958. I see a trend here.. 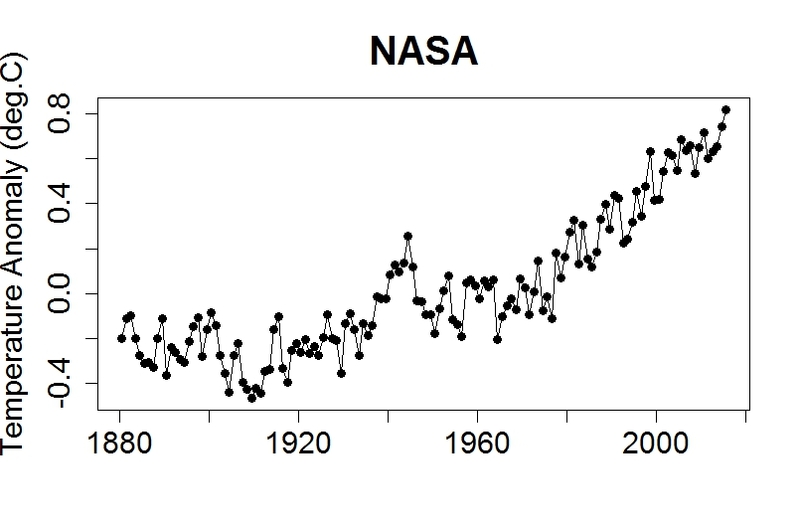 Global Temperatures Versus Average Since 1880. Something is happening. That something is the CO2 and other greenhouse gasses being emitted through the burning of fossil fuels – coal, oil and gas. Under the “business as usual” scenario, the CO2 concentration in the atmosphere will double, which would have roughly the same effect as increasing the intensity of the sun by 2%, and would bump up the global mean temperature by roughly 3°C. This would be what historians call a Bad Thing. The Greenland icecap will gradually melt, and, over a period of a few 100 years, sea-level would rise by about 7 metres. The brunt of the litany falls on future generations. Such temperatures have not been seen on earth for at least 100,000 years, and it’s conceivable that the ecosystem would be so signiﬁcantly altered that the earth would stop supplying some of the goods and services that we currently take for granted. The happy thing here is that there is generally a direct correlation between what you spend, and what you emit. Every cent you don’t spend on gas for your car, electricity or heat for your house. That means that you don’t need to care about climate change to do something about it. If you care either about your wealth, or the environment (or hopefully both), then it makes clear sense to stop spending money on incredibly inefficient energy systems in your life. To the people hired by the Koch Brothers to comment below to try to postpone the inevitable: Sorry guys, science is demonstrable evidence and we have it on our side. You will not fill your wallets at our expense anymore!